Feb. 5, 2018 –TORTOLA, British Virgin Islands – O’Neal Webster is pleased to announce that Vanessa King, corporate, commercial, and trusts and estates attorney, stepped into the managing partner role for the law firm as of Feb. 1, 2018. King rotates in for long-time managing partner and investment funds and regulatory attorney Kerry Anderson who served as O’Neal Webster’s managing partner since 2009. The leadership rotation was unanimously approved by the partnership. King, a recipient of the worldwide Society of Trust and Estate Practitioners’ ninth annual, prestigious Founder’s Award, has a long-standing record for her exceptional leadership and service in professional, charitable, and community organizations. 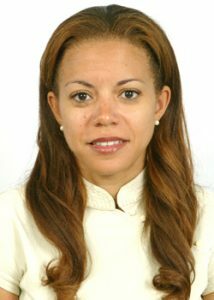 She currently serves as STEP BVI Chairperson, Deputy Chair of the STEP Caribbean and Latin America Region, and member of the steering committee of the STEP Caribbean Conference. She is a member of the board of directors of BVI Finance Limited, a member of the BVI Financial Services Institute Advisory Council, and the BVI Bar Association, and also serves as the Deputy Chair of the Board of the BVI Red Cross. Anderson, who no longer has managing partner duties, will now focus on the firm’s overseas expansion opportunities while continuing to provide legal counsel to O’Neal Webster clients. O’Neal Webster holds a decidedly unique position among all British Virgin Islands law firms, being among the first to establish exclusively in the BVI. The firm serves local and international clientele in areas of corporate, finance, banking, business, investment funds, property, and trusts and estates, and is highly regarded for its expert handling of transactional, regulatory, and contentious litigation matters. The firm also staffs an office in London, UK. This entry was posted in News and tagged Vanessa King. Bookmark the permalink.